No idea what to pack for your Easter holiday? With Easter fast approaching, many of us are looking forward to getting away from it all during the school holidays, or simply taking full taking advantage of the long bank holiday weekend. We've put together a comprehensive guide to packing tips if you need advice on packing methods and making the most of your limited luggage space. If you've already booked your Easter break, now is the fun part: thinking about what to pack! We've already shared the essential items you need to bring, as well as our popular post on things you definitely don't need to take on holiday. Here are some essential items we've rounded up for men, women and kids taking a trip this spring. If you're heading out to a country with a warmer climate or even sticking around here in the UK, it's reasonable to expect milder temperatures by late April, so now is definitely the time to invest in your spring coat for the Easter holiday. A pair of slip-on shoes that are comfy, lightweight and easy to pack is a real bonus on any trip. Don't forget a pair of good sunglasses and a light scarf for that notoriously unpredictable spring weather! It's time to get casual and start to let a bit of summer frivolity into your wardrobe, so ditch the suit and tie and opt for a casual shirt or light jumper. Layering is also key on a spring holiday, particularly if you're heading somewhere in Europe where the temperature can vary. Whether you choose to 'rock' them ironically or wear them seriously, you can't beat a pair of Hawaiian shorts on your holidays, and this will probably be your first chance to pull on a pair this year! You're likely to be walking around more than usual on your trip, so if you haven't already got a sturdy backpack with plenty of compartments, now's the time to invest. Aside from the real essentials (chocolate eggs, favourite toys and games! ), kids will need a range of clothing options they can wear morning to evening on Easter holiday at your chosen destination. So, a pair of rugged, sunny weather shoes that can be worn on walks or out playing will be perfect. For the journey to and from your accommodation and for excursions once you've arrived, why not pick out a fun bag that your child will enjoy carrying? Finally, no trip would be complete without packing a pair of all-purpose jeans, and this is true for kids as it is adult travellers! Now you're all set on packing for your Easter holiday! If you enjoyed this article on what to pack on your Easter holiday feel free to like us on Facebook and follow us on Twitter or subscribe to our YouTube channel. Holiday Packing: 6 Things to Remember. 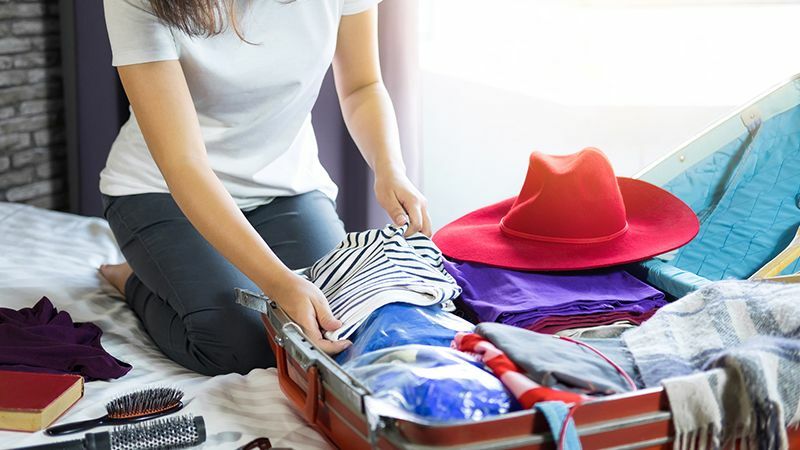 These 6 items are often forgotten when packing for your holiday. What things should you not take on holiday?. Master the art of packing light and get rid of these little extras that you don't need to take on holiday.